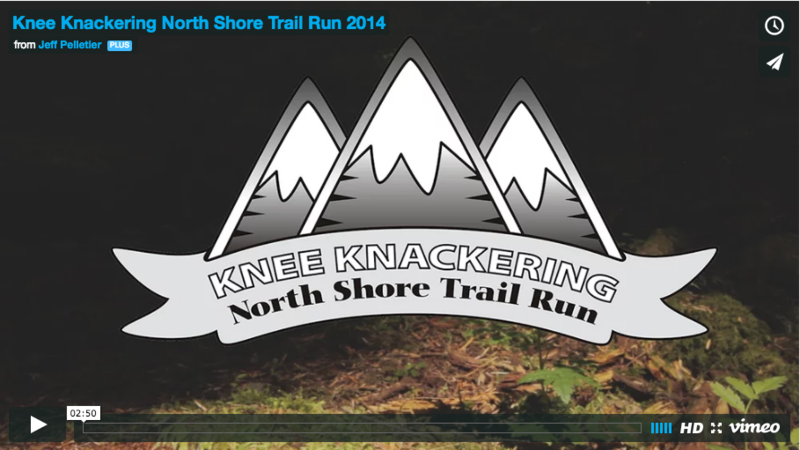 The Knee Knack­ering North Shore Trail Run is a chal­leng­ing 30-mile foot race along the Baden-Powell Trail from Horseshoe Bay to Deep Cove. It pro­vides run­ners with mag­nif­i­cent city, moun­tain and ocean views, climb­ing 8,000 feet and descend­ing another 8,300 feet. Run­ning Wild mag­a­zine has rec­og­nized the race as one of 25 tough­est races in North America. Last year, I cut some footage from 2013’s race shot by Pat Bell of Red Wagon Productions to edit together a short teaser video to be played at the banquet and online. My good friend Dave Melanson of Project Talaria shot some great footage of 2014’s race which I’ve cut into a brand new teaser which you can see above or on my Vimeo channel.